The Council for Oyo State Indigenes (COSI) at the weekend nominated Deputy Governor of Central Bank of Nigeria (CBN) in charge of Corporate Services, Mr. Adekola Adelabu as the next governor of the state. The council, which comprises enlightened indigenes of the state from all walks of life, said the choice of Adelabu, a grandson of First Republic politician, Chief Adegoke Adelabu a.k.a Penkelemesi was based on his humanitarian services he had been rendering to the people of the state. 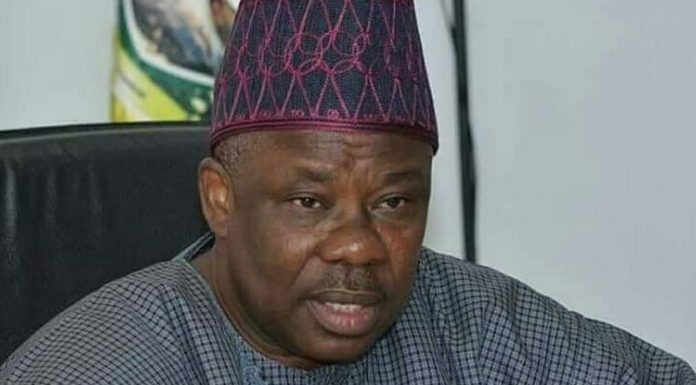 The Convener of the council, Mr. Mr. Olalemi Abiodun explained the decision to tip Adelabu for the 2019 governorship race at a news conference he addressed Bestab Luxury Suites, Lagos at the weekend. At the conference, Abiodun explained that Adelabu had provided for the indigenes of Oyo had singled him out as a competent, passionate and selfless human being to lead the state as the next governor. He justified Adelabu’s choice, citing different strategic social interventions, which he said, the Bayo Adelabu Foundation had provided for the indigenes of the state since it was established few years back. To the council, Abiodun explained that Bayo Adekola who is the grandson of the famous Adegoke Adelabu of the old Western Region in Ibadan “has provided strategic leadership, which has endeared him to many youths in the state. He called on all the sons of Ibadan and Oyo State to throw their weight behind Adelabu, the group noted that this is the best time to pay back to the dynasty of Adegoke Adelabu whom through numerous scholarship trained prominent Oyo State sons, one of which is Chief Kola Daisi. He thus quoted Chief Kola Daisi, who said in a speech: “ I was on the Internet, trying to get the names of successful Great Ife; those who attended University of Ife (now Obafemi Awolowo University, Ile-Ife) when I stumbled on his name. Again, I did not know he had any relationship with the late Chief Adegoke Adelabu ‘Penkelemesi’ until someone told me he is one of the grandsons of the late politician. Born on September 28, 1970 in Ibadan, the Oyo State capital, young Adebayo Adekola Adelabu, now Central Bank of Nigeria (CBN) Deputy Governor, Corporate Services, attended Lagelu Grammar School, Ibadan before proceeding to the prestigious Obafemi Awolowo University, Ile-Ife to study Accountancy. Just like his late grandfather who scored firsts in virtually everything he laid his hands upon, he graduated with a first class honours in 1992 and later went on to pass his final qualifying examinations of the Institute of Chartered Accountants of Nigeria (ICAN). After two decades of joining ICAN as an associate member, he has risen to become a fellow member of the institute.